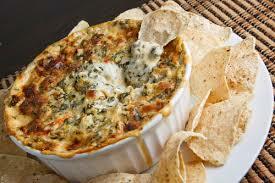 Mix equal parts spinach dip with cream cheese for a great dip. Try it without the cream cheese! Mix with hummus instead! Combine all ingredients, heat in a crockpot until warm. Serve with crackers or dip chips.